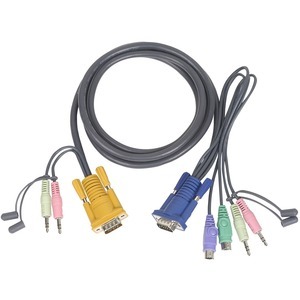 IOGEAR's all-in-one bonded KVM cables are designed to deliver superb video and audio quality and error-free transmission for your high-resolution applications. 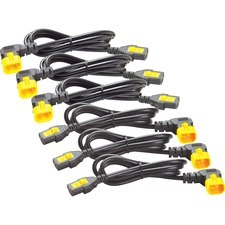 This cable is designed for the IOGEAR Extreme KVMP switch and the Miniview Ultra+ switch, which allows sharing of keyboard, mouse, monitor, speakers, and microphone among multiple computers. These cables feature the latest in design and technologies such as Micro-Lite cable technology, an aluminum shield and an all-in-one bonded structure. They are designed to provide the maximum in quality, performance, and reliability. The thin, flexible cable and the over-sized thumbscrews also make installation quick and easy.